A prime concern to most of us is the quality of the water. Lakes with crystal blue water where you can see your toes when you wade are too often just memories. For many of our lakes the water is green or brown from algae or soil running off the land. 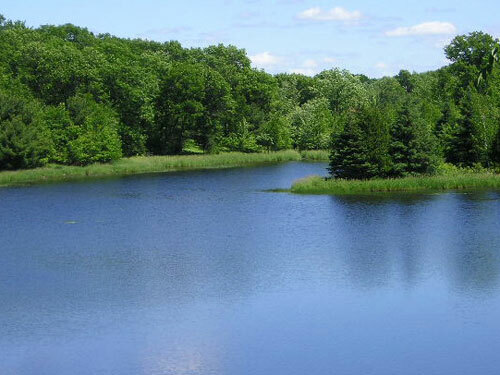 We can design and implement monitoring programs for your lake, stream or watershed. We can compile the existing data for your site and prepare a report on current conditions and trends. We can conduct an evaluation of the lakes watershed and identify sources of pollutants. Every lake should have a lake management plan. We can work with your lake association to help you set your goals for the lake use and quality and help you identify strategies to move your toward reaching those goals. Improved watershed management practices will lead to improved water quality. We can help you identify potential sites in your lake’s watershed where practices can be installed to reduce pollutant loading and can help you obtain funding to complete these projects. We work in a variety of ways to educate people on water quality. We would like to work with you. FCI staff can prepare grant applications on your behalf to help you fund installation of BMPs or complete projects in your watershed. We have received or helped others receive over 1.5 million in grant funds. Many of our lakes have become degraded over time. It will take time to rehabilitate them. Now is a good time to start. No one is going to fix your lake problems for you. Take charge. We can help you get started down the path to improved water quality.